First, follow @prepbeautyparlour on Instagram. Next, tag 2 friends on our Instagram photo and tell us why you think your mom should win the Free Yumi Lash Lift and Tint. Unlimited entries are permitted for this contest! The winner will be chosen on mother’s day (Saturday, May 11th)… we can’t wait to hear all your fantastic stories! Haven’t heard of the Yumi Lash Lift and Tint before? Here is what you need to know! 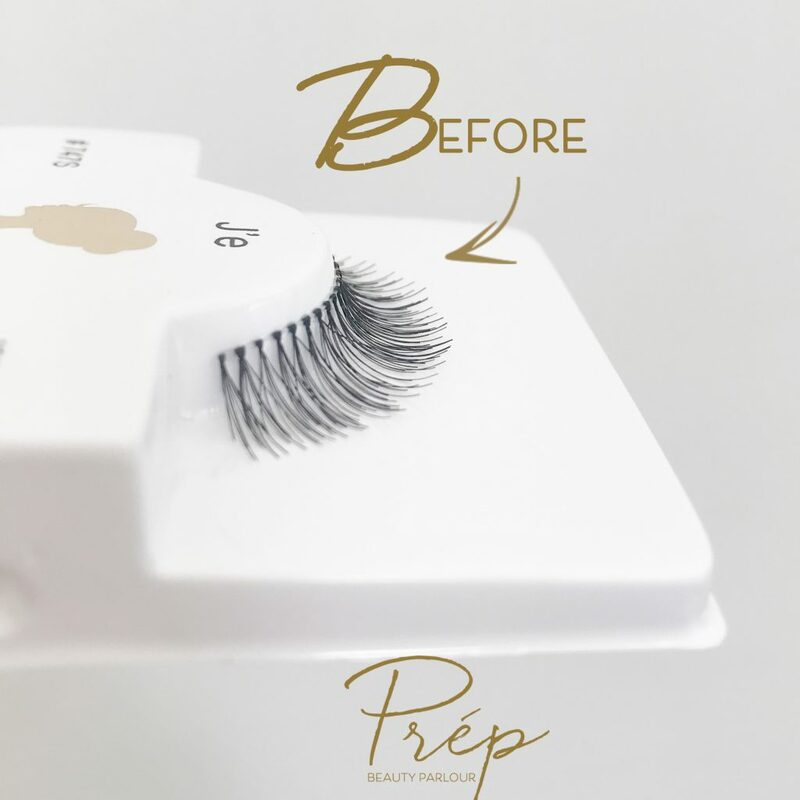 The Yumi Lash Lift and Tint works with your natural lashes to lift them (it does not add fake lashes as lash extensions would) which is perfect for ladies with naturally medium to long, straight lashes to maintain the ‘lash extension look’ with no maintenance. Plus the Yumi lash lift and tint lasts 8-12 weeks. 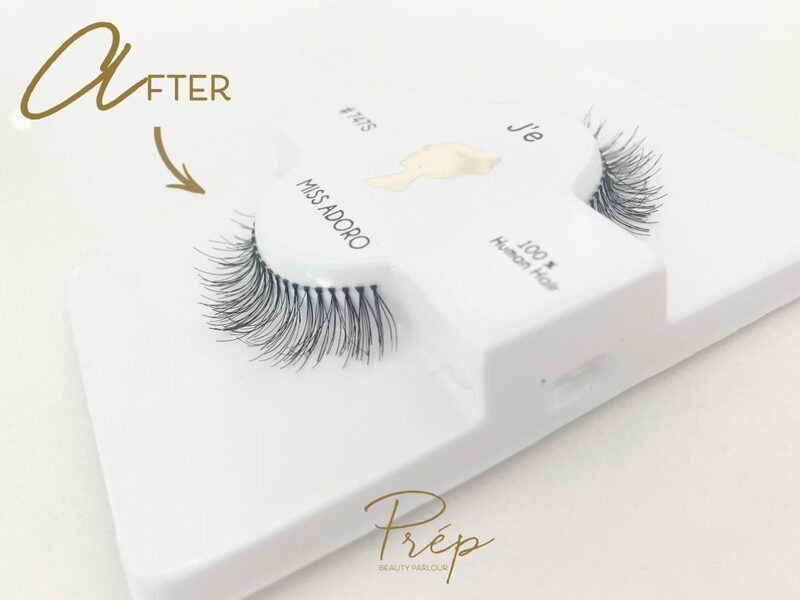 However, the Yumi Lash Lift and Tint is also great alternative to lash extensions for ladies with shorter lashes- leaving you with a more natural look. Ready to book your next appointment with us? Click here! The internet is always coming out with fun and sometimes quirky makeup trends! Like the silisponge, and chome nails! 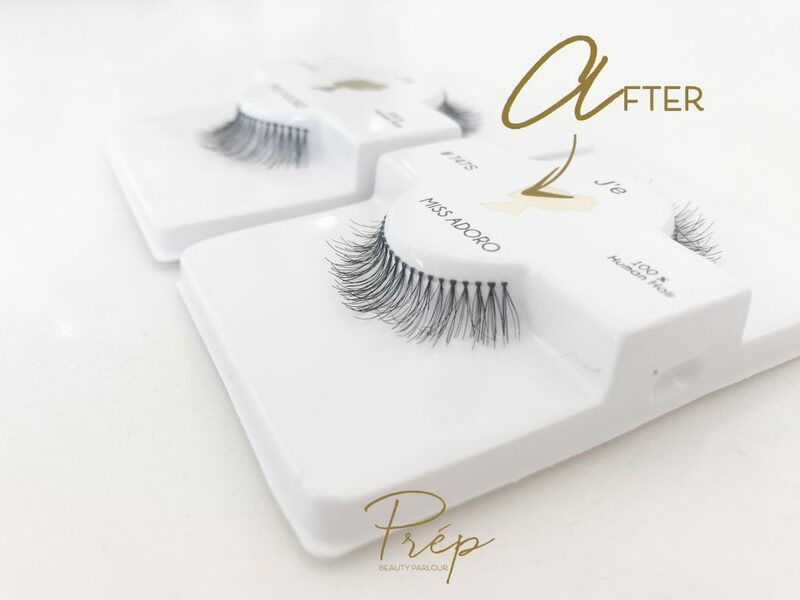 Recently there was a ‘makeup hack’ that surfaced on Facebook where a user brushed her synthetic lashes and transformed them into beautiful ‘mink like’ wispy lashes! The video makeup artist Makeup artist Paloma Garcia shared had over 11 million views! With all this excitement, we decided to try this little hack out to see if it really works! First, we picked a pair of falsies, we tried a few pairs, the best outcome were the ones that look a little more dramatic with either clumps or criss-cross patterns. The natural sets didn’t change much after the brushing. 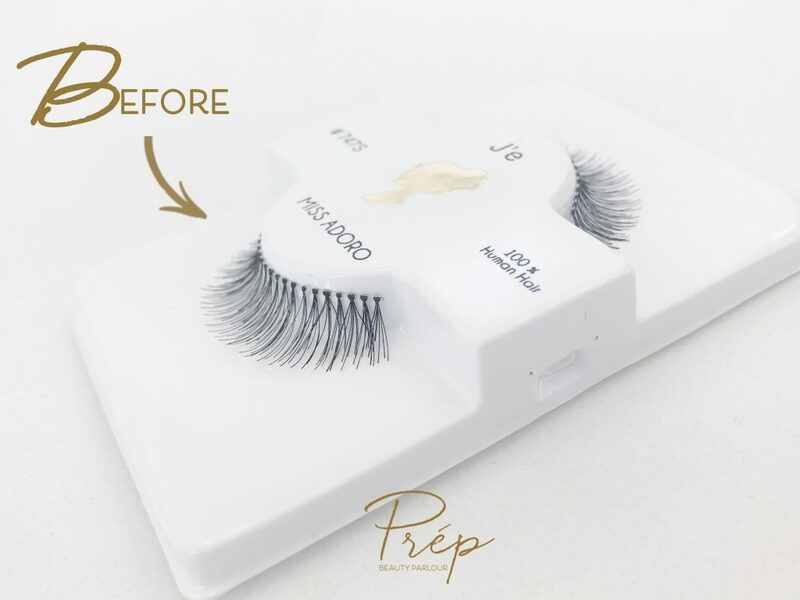 Second, we brushed the lashes side to side with a spoolie (you can also use a clean mascara wand or a brow spoolie), and then brushed them from top to bottom every so often to straighten the lashes out. So what did you think? 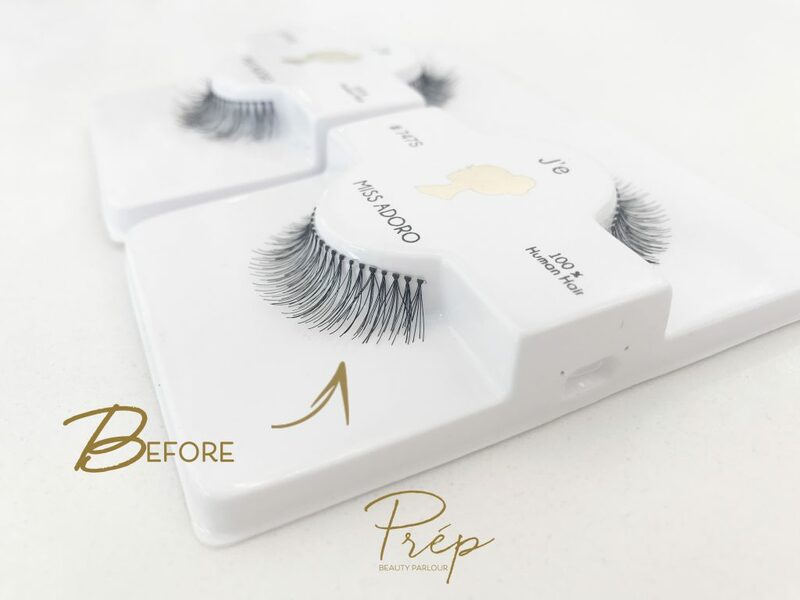 Let us know your comments below and if you tried this hack, send us your photos to info@prepbeautyparlour.com, we would love to see all the variations with different lashes! To book an appointment online, please click HERE! If you are wanting to book additional time for gel polish removal or nails art, please email us at info@prepbeautyparlour.com, or give us a call at 604 764 6452! We say this all the time- the better you care for your lashes, the longer they’ll last! Of course, there are other factors that come to affect the longevity of your lashes. Such as the change in weather, natural lash at the end of its cycle and shedding, or the use of makeup. Some of these are inevitable. So we should learn to care for our lashes the best to our abilities! Let’s dive into how! Properly cleansing your lashes at least twice a day is essential to keeping your lashes healthy and long-lasting. You might be thinking… hmm wouldn’t it cause my lashes to fall out if I am cleansing them? The answer is no! The adhesive used is water proof! As long as you are gentle and using an OIL- Free cleanser, (see which one we recommend here!) It should leave your lashes looking clean and fresh! Not cleaning lashes leads to build up (especially if you’re a make up wearer! Which then puts extra weight on your natural lashes and cause fall out/ damage). Stop Getting So Many Fills! 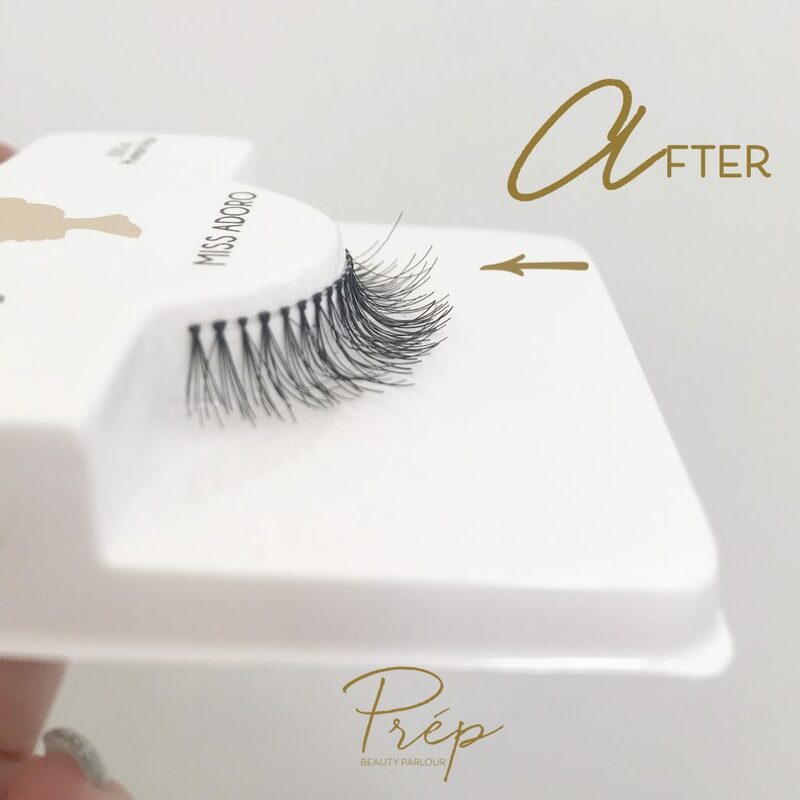 We see a lot of clients regularly coming in every 2-3 weeks for fills, which is perfect for keeping lashes looking fluffy and full! But it is also easier for the lashes to fall out faster after their 3rd or so fill. We recommend you come in for a full set followed by 2 fills, and then getting a removal and starting over with a fresh new set! This way the lashes aren’t in different “cycles”. No Mascara or False Strip Lashes! Mascara and falsies are perfect for a night out, they’re super fluffy, long, and just look so darn good! But! Mascara and false strip lashes are the mortal enemies of lash extensions. Not only do they put on extra weight on the lash extensions, but they can also damage the natural lashes very badly when being removed. However- there is a way around it! Extension safe mascara! (Check out our favourite go- to mascara here!) Extension safe mascara is lightweight and easy to remove. Making sure you don’t have to aggressively rub to remove ALL the product! Last week we asked you lovely ladies if you wanted to see a review and our thoughts on some magnetic lashes! We were very lucky to have sent some from TOK Beauty to test out! The magnetic lashes come in a pack of 4- both top & bottom for both eyes, or in double sets. They come in a beautiful packaging and have a magnet where the lashes reside on. The TOK Beauty website claim the magnetic lashes to be “user friendly, cruelty free and all natural” (TOK Beauty). So what are our thoughts? Let’s dive right in! Well.. Not exactly. Although the lashes were a beautiful, wispy style, they were very difficult to apply because of how stiff the lashes were. We also found the lashes to be quite short and thus- didn’t fit completely on the eye (at least for our model!). We think that with more practice, we may be able master the art of applying these fun magnetic lashes! Overall, we think this is a fun a cool concept for those who don’t often put on a lot of makeup! Just slightly difficult to apply. Perhaps if we get more practice applying the lashes we can get them to look much more natural! For now- we’ll just stick to our lashes extensions! Have you tried out these magnetic lashes? What are your thoughts? 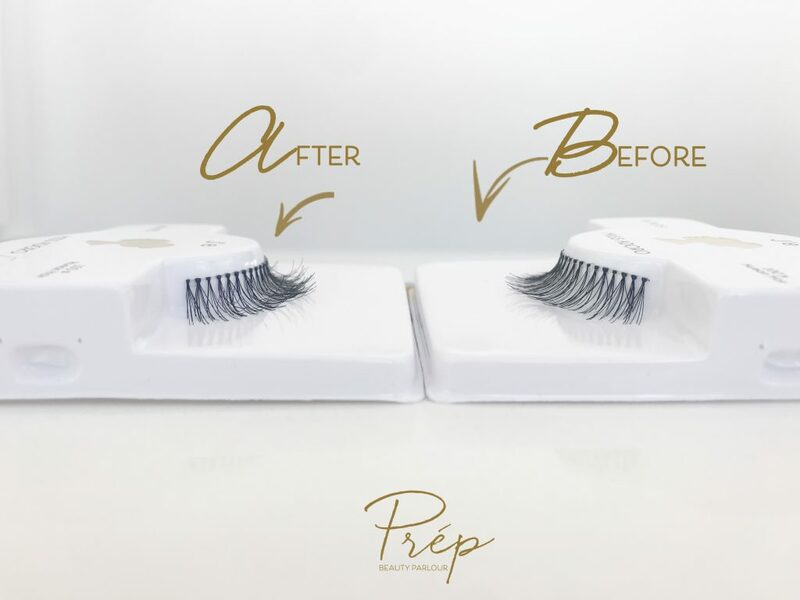 To book an appointment, give us a call at 604-764-6452, or send us a quick email at info@prepbeautyparlour.com! No time to call? Book online on your watch by clicking HERE! 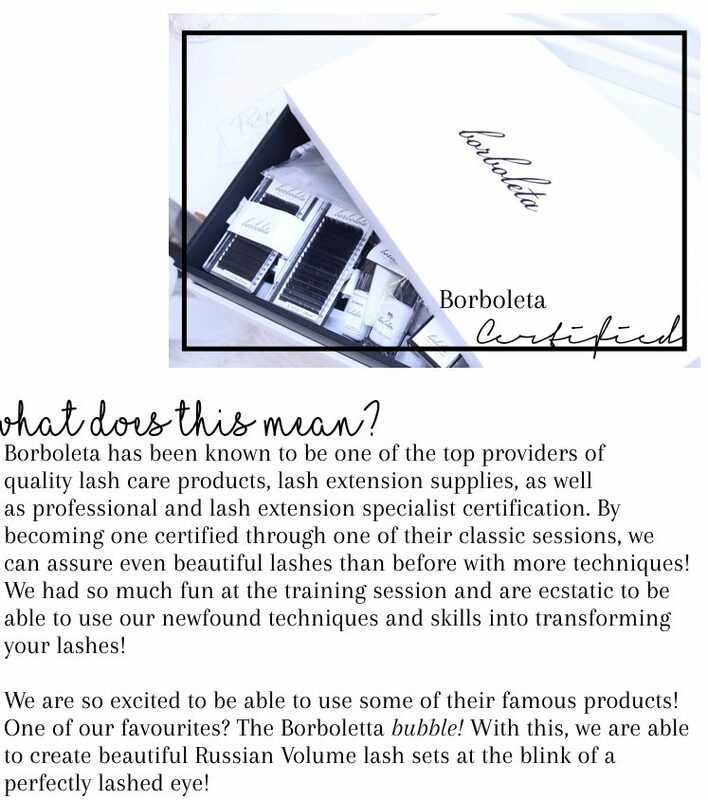 We look forward to giving you glamorously fabulous lashes!